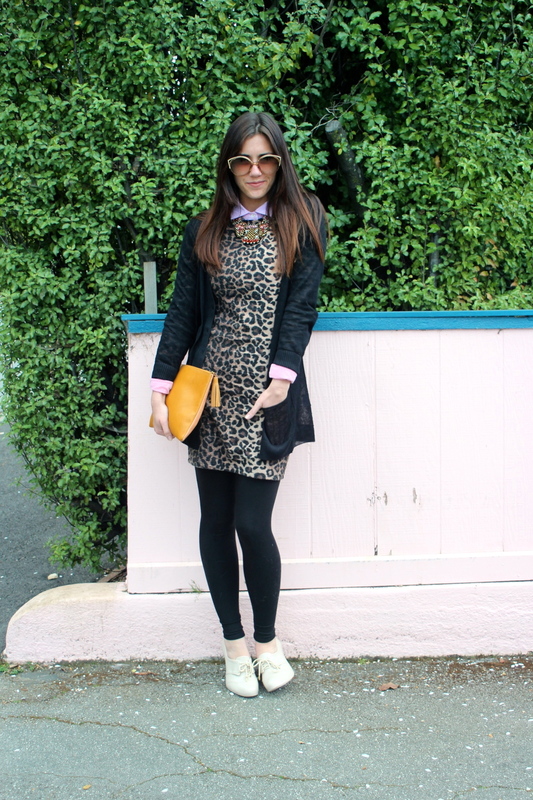 Leopard is my "go-to" print. It's the kind of print that goes with literally any color. One just can't go wrong with some leo. It's purrrfect! This leopard print dress from Sway has been a closet favorite. I love how easy it is to layer with. I'm a sucker for preppy influences, hence the button-up layered underneath. 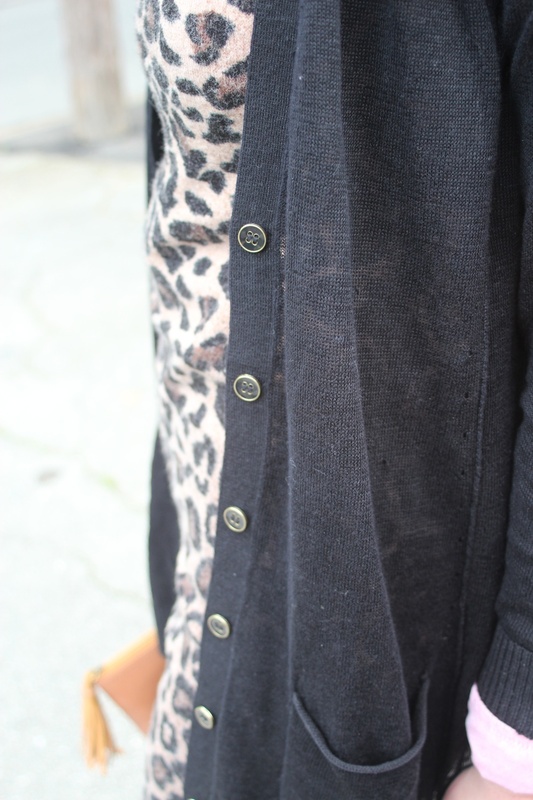 I recently purchased this long linen cardigan by KEW, and absolutely love it. It will be my sweater for the season! Linen is one of my favorite fabrics. I love the lightweight feel and translucent appeal. Honestly, I don't know what I would do without layers. I always manage to create multiple layers in a look. This one being no exception! My wedges, which are from my sister, are a new addition to my closet. I absolutely love anything Melissa! These shoes were a part of her collaboration done with the Brazilian designer Herchcovitch Alexandre. Girlie and fun, these wedges literally embody my personal style and will serve me well with any spring showers. The rubber/ plastic aesthetic also makes me nostalgic of the 90's, when every girl needed a pair of Jellies. Remember those? Uh, duh! I finished this look with my accessories. 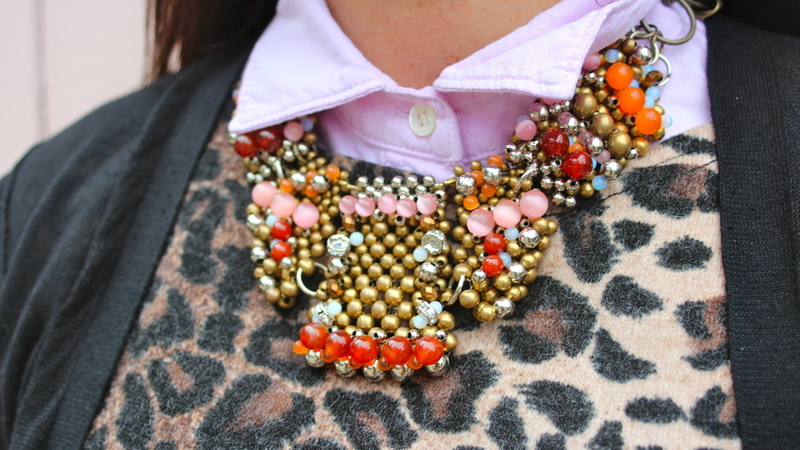 This multicolored statement piece was a great addition. It brought all the colors in the look back together. I also needed something heavy on top to anchor down the weight of the wedges. I like to keep it simple with accessories: this look had enough going on! A statement necklace, a cute clutch, and some cool sunnies was all I needed. I'm sorry, but how cute are these wedges?! All the details are to die for. I'm anticipating for more rainy days, so these babes can come out and play.